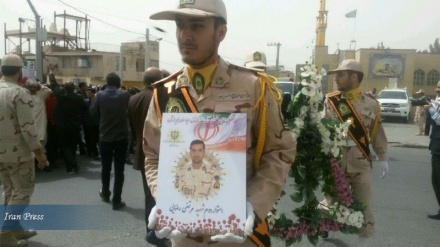 The massive war game, called 'Eqtedar 97' has just begun in the central province of Isfahan on Friday. 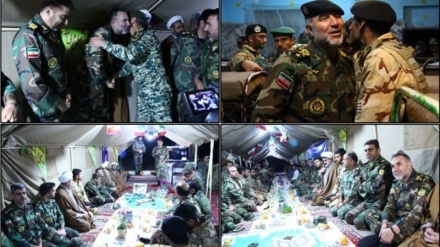 Iran Press/Iran news: Commander of Iran’s Army Ground Forces Brigadier General Kioumars Heydari inaugurated the two-day massive military drills code-named 'Eghtedar 97' on Friday morning. 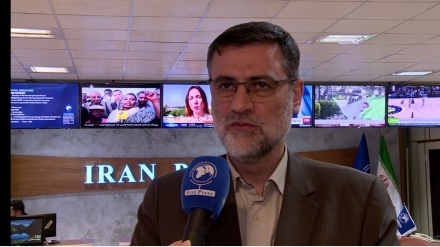 It is noteworthy to mention that the word 'Eghtedar' means 'sovereignty' in Persian. 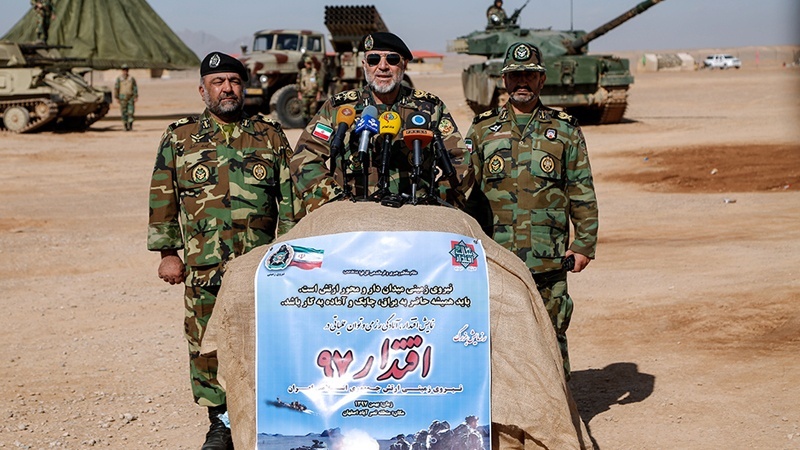 Speaking to reporters at a press conference yesterday, Brigadier General Heidari said that as many as 12,000 are taking part in the drills and are planned to exercise their ‘offensive tactics’. 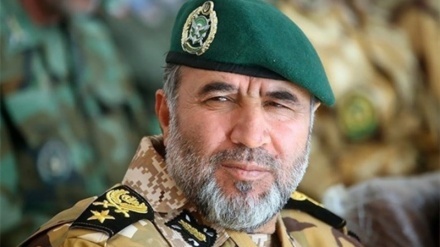 Furthermore, Gen. Ali Hajilou told the Islamic Republic of Iran's broadcasting correspondent that the Armored units, artillery, rapid reaction forces, mechanized infantry, engineering units, combating units, telecommunications, and airborne, UAVs, and Airborne units, with the back up of Army Air Force fighters, are stationed in a vast area in Isfahan province for the war games. The army transport Chinook 214 helicopters along with combating choppers are also deployed in the area and will carry out heliborne, reconnaissance and combat missions. 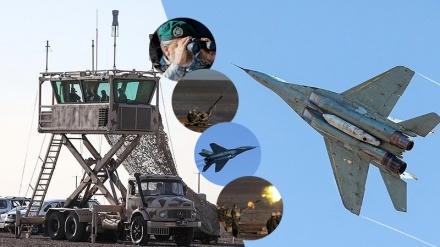 The combating choppers will detect and destroy the enemy’s elements, equipment, and fortifications.